Used by permission. More work by Mr. DaLuz may be seen here. I’d thought I was prepared for John C. Van Dyke’s The Desert. I’d heard of it for years, and it had come up in two works I’d just read. Jay Paul Minn, translator of Pierre Loti’s book of the same title published in 1895, a mere six years before Van Dyke’s work appeared, had noted the strong influence of Loti on Van Dyke. Reyner Banham, in Scenes in America Deserta, claimed Van Dyke’s book as the desert book he most revered and devoted a section of his own to it. But the fervor of Van Dyke’s vision and the exquisite language of this extraordinary prose poem still took me by surprise. Loti traveled the Sinai and Petraen; Van Dyke roamed the Sonoran, Colorado and Mojave deserts. Different deserts, different books, yet a similar monomania bubbles up out of the confines of both writers’ more-or-less conventionally structured narratives. But following Loti’s indulgent, romantic, neophyte’s infatuation, Van Dyke's ardor ascends to levels undreamed of by Loti. He comes off as something of a madman-poet-scientist-sage, with a keen knowledge of and nearly fanatical devotion to the region he explored for three years, alone save for a pony and dog. “The desert has gone a-begging for a word of praise these many years. It never had a sacred poet; it has in me only a lover,” writes Van Dyke. Loti may be awed before the silence and light show, but Van Dyke, a former professor of art history who seems more like some ancient being born from the sands, craves both the show’s enchantment and knowledge of its magic’s backstage mechanisms. …the moon – the misshapen orange-hued desert moon. How large it looks! And how it warms the sky, and silvers the edges of the mountain peaks, and spreads its wide light across the sands! Up, up it rises, losing something of its orange and gaining something in symmetry. In a few hours it is high in the heavens and has a great aureole of color about it. Look at the ring for a moment and you will see all the spectrum colors arranged in order. Pale hues they are but they are all there. Rainbows by day and rainbows by night! 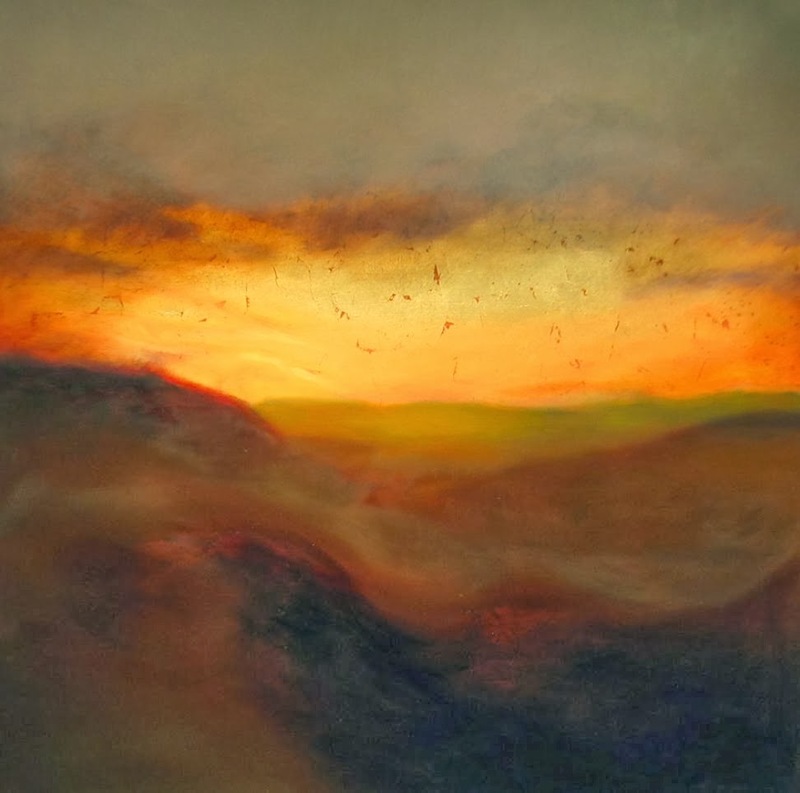 Radiant circles of colored light – not one but many. Arches above arches – not two or three but five solar bows in the sky at one time! What strange tales come out of the wilderness! But how much stranger, how much more weird and extraordinary the things that actually happen in this desert land. …the waste places of the earth, the barren deserts, the tracts forsaken of men and given over to loneliness, have a peculiar attraction of their own. The weird solitude, the great silence, the grim desolation, are the very things with which every desert wanderer eventually falls in love. You think that very strange perhaps? Well, the beauty of the ugly was sometime a paradox, but do-day people admit its truth; and the grandeur of the desolate is just as paradoxical, yet the desert gives it proof. …its illusiveness adds to, rather than detracts from, its beauty. Rose-colored dreams are always delightful; and the mirage is only a dream…only one of nature’s veilings which she puts on or off capriciously. But again its loveliness is not the less when its uncertain, fleeting character is revealed. It is one of the desert’s most charming features because of its strange light and its softly glowing opaline color. The later chapters devoted to plant and animal life lose this ardent edge a bit, though Van Dyke still acquits himself as a master of simile and metaphor. An antelope’s legs “seem to open and shut like the blades of a pocket knife.” A mule-deer’s feet “seem to strike rubber instead of stone; for he bounds like a ball.” But that Van Dyke is most at home amid the uncertain metamorphosis of color and light is evident when, in a late chapter on geology, he leaves the earth behind and again gets deliriously lost in a glorious haze, only still later to lose himself in the dome of the sky. It’s notable that the only time he makes the reader the least bit aware of himself as a living body is in the first pages, where he climbs a rise to gain a better view; most everywhere else in the book, he might as well be a disembodied perceptive apparatus. The cadence of Van Dyke’s prose is occasionally – and deliberately – Biblical (“All, all to dust again; and no man knoweth the why thereof”). His narrative is also shot through with images of war, conflict, and death (“…at every step there is the suggestion of the fierce, the defiant, the defensive…"). Van Dyke reserves his most scorching language for man, the “one great enemy,” against whom Nature – “all of it good, all of it purposeful, all of it wonderful, all of it beautiful” – will undoubtedly prevail. Reyner Banham critiques Van Dyke’s vision of the desert as something that should remain pure, untrammeled by human beings (other than Van Dyke, presumably). But despite this misanthropic puritanism, it’s difficult not to fall under Van Dyke’s spell enough to concur with his assertion that “The deserts should never be reclaimed. They are the breathing spaces of the west and should be preserved forever.” Were he alive today to see the sprawl of Phoenix or the exponentially growing resort communities of the Coachella Valley, he would be mortified. An early passage describing desecrations of landscape across America by captains of industry provides as succinct and devastating a summary of American environmental destruction as I’ve encountered. After listening to Van Dyke’s testimony begging for a “proper angle of vision” to admire the desert’s mesmerizing qualities, contemplating a similar fate for the desert could turn anyone into an environmentalist. But whether or not one adheres to Van Dyke’s purity of vision, his book stands as a brilliant, engulfing piece of prose, as fervent an appreciation of landscape as one is likely to find. Labels: VAN DYKE John C.
Last year, the Times Flow Stemmed blog posted a terrific list of books about the desert to which others added nominations. I’ve made a project of reading these works, but as I keep learning of other desert books, my goal recedes like (if I may be so boldly original) a desert mirage. The latest interloper, a work I’d be thrilled to put high on my own such list, is French writer Pierre Loti’s plainly entitled The Desert (Le Désert, 1895), which, with fortuitous timing, came to my attention mere hours before I headed to the Mojave for a long weekend. Rarely has a book aligned so magnificently with the setting in which I read it. The Desert recounts, in diary form, Loti’s month-long journey from Cairo to Jerusalem through the Sinai and Petraean deserts in the company of two European companions and twenty or so Bedouin. Translator Jay Paul Minn notes that Loti took the trip both to indulge his obsession with Islam and, hoping to find inspiration in Jerusalem, in an effort to reconcile his atheism with his mother’s Christianity. Rejecting the most commonly traveled routes, Loti opted for the more forbidding, dangerous passage through the Petraean, at the time beleaguered by internecine clashes and conflicts between Arabs and Turks. …the desert does not disappoint, even here at this threshold where it is just beginning to appear. Its immensity overwhelms everything, enlarges everything, and in its presence the wickedness of human beings is forgotten. And how quickly we have been taken prisoner by it! How suddenly have we been wrapped in silence and solitude!... Nobody and nothing anymore, as the desolate night descended…And suddenly all around us there was infinite emptiness, the desert at twilight, swept by a steady cold wind: the desert of a neutral and dead color, spreading under a darker sky that seemed to fall and crush it out to the edges of the horizon all around. Turning to nearly any page of The Desert, one finds rapturous appreciations of color, light, space, the weirdly sculpted geology created by harsh, elemental forces, unexpected desert flowers, snakes and gazelles, lush oases, distant snow-capped peaks, the “permanent and ageless stars.” Loti’s descriptions come saturated in color; I suspect the book would still be fascinating were one to conserve only the passages involving pink. There is something pure about Loti’s encounter, a human presence so aesthetically and spiritually overwhelmed by mesmerizing light and shadow, by the vast, shifting sands, that for much of the book one would scarcely know other people were about. Loti’s attention towards his own unmediated confrontation with the desert masks the reality of his essentially traveling as a tourist. The Bedouin supply team so essential to Loti’s undertaking most noticeably appear when, almost comically, they streak past Loti and his companions each day at lunch in order to set up the evening camp, shouting greetings that briefly unzip the silence of the desert until they again ride out of sight. Loti knows that he’s putting the human presence secondary, and to be fair, he does offer more than a few nods towards the people he meets. He details his frustrating negotiations with a functionary at Aqaba and the boredom of the outpost’s Turkish soldiers, sketches encounters with desert chieftains, Russian pilgrims and barefoot Bedouin children, and, upon arrival in Gaza, summarizes its place in history with a succinct power that replaces associations from today’s headlines with a tragic sense of the city’s rich, irretrievable past. Most captivating, though, is Loti’s account of the astonishing monastery of Saint Catherine high on Mount Sinai, where he spent a forced sojourn (due to snow!). Before reading Loti’s account, I knew nothing of this nearly inaccessible, ancient edifice, its monks going about their solemn daily tasks as monks have done there for 1,500 years, its vaults hiding innumerable priceless relics and manuscripts. Through Loti’s hermetic account, Saint Catherine’s comes across as remote and unexpected a religious refuge as the mystical mountain monastery featured as the culmination of Peter Brook’s hypnotic film, Meetings With Remarkable Men. When the owl is in the hole on its back, with its wings hugging its body like a monk’s cloak, it still stares at us obstinately, with an astonished expression of reproach that cuts us to the quick. Give in to Loti’s romanticism, and the staring yellow eyes become as potent a symbol as Ozymandias, left to gaze eternally out upon the lone and level sands. But slip out of Loti’s magic spell for an instant, and the scene could take on an almost laughable quality of kitsch. Still, I can’t get that owl out of my head. A hundred years after its decay into nothingness, I envision it as an enduring presence, a fixed, disembodied stare somewhere out in the desert vastness. It seems to encapsulate the essence of Loti’s small book, his capturing, in limpid, crystalline prose, the unforgettable drama of seeing the desert, of having one’s eyes opened to its immensity, timelessness and power over one’s perceptions. For those of a romantic temperament (I’m not naming names), Loti’s book seduces and enthralls, a treasure to be luxuriated in knowing full well - and holding in abeyance one’s awareness - that it has little to do with the realities of the desert’s human face, and everything to do with the impressions that can bewitch one there and induce a profound, transfixing awe. Loti’s book thus stands apart from, say, Wilfred Thesiger’s Arabian Sands, a divergent account of travel with Arab tribes that Times Flow Stemmed pegged as perhaps the greatest of desert books. If one seeks to grasp the palpable danger and grit of desert travel and the fundamental courage of the peoples who manage to live there, it’s doubtful one could do better. 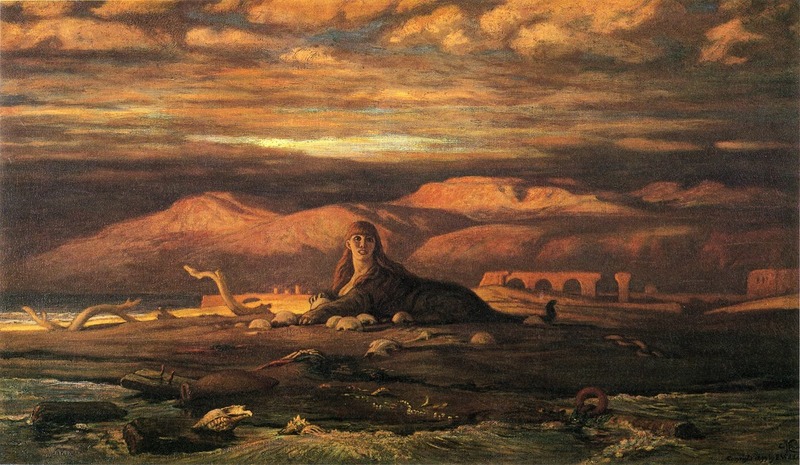 Thesiger might have cringed at Loti’s glancing, tourist’s appreciation of the desert tribes, but I suspect he would have identified with the spell the desert had cast. For Loti, perhaps better than any writer I have read, including Thesiger, conveys the experience of being absolutely smitten, humbled and transformed by the desert. As I hiked that weekend through the Mojave,[i] everything seemed filtered through Loti’s gaze: the metamorphosis of light, of pinks and lavenders, yellows and grays, ochers and violets; an unexpected petroglyph left by a long vanished people; a chill wind sweeping a canyon as snow clouds closed upon distant peaks; glowing, faraway ridges and empty, interminable plains slowly engulfed by darkness. If, in rhapsodizing about the desert, Loti had expected to convey a profound, contagious appreciation, he’d succeeded spectacularly. An overwhelming sense of solitude and an “illusion of being united with universal permanence and time” took hold. Did it matter that some 20 million people lived within a few hours’ drive? I couldn’t think about that. [i] A rare moment of advocacy for something other than books on this blog: Several of the areas I explored fall within the proposed Sand to Snow National Monument. Write your representatives to help ensure preservation of this stunningly majestic area where the Mojave and Sonoran deserts transition to the summits of Southern California’s highest range. UPDATE February 12, 2016. Sand to Snow (along with two other large areas of Mojave desert) has just been designated as a National Monumnet by President Barack Obama, a tremendous action that will ensure protection of these astonishing desert landscapes. Did I say I’d be back in early November? I must have meant early December; surely I meant early December. Half the time since my last post I’ve spent wandering through China; much of the other half I’ve spent re-occidenting myself from wandering through China. I hope to post about some Chinese literature soon and maybe even float the idea of a Chinese literature challenge. But first, to shake off the dust and get back to posting, here’s a contribution to Caravana de Recuerdos’ Argentine Literature of Doom project. Even if I’d purposely set out to find an image of Roberto Bolaño’s pronouncement that South American literature was a “literature of doom,” I doubt I could have surpassed the one César Aira provides in The Miracle Cures of Dr. Aira. Here literature, at least by one metaphoric reading, is a bed-ridden billionaire dying from severely metastatic cancer. 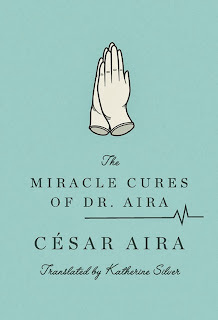 Among the novels by Aira I’ve read, The Miracle Cures of Dr. Aira is both the funniest and the one that most directly addresses the condition of fiction and, in particular, of Aira’s writing itself (his own name appears in the title - d'oh!). Unlike other authors titillated by the metafictional aspects of their texts, Aira accepts that the novel, at this stage of its evolution, has, inescapably, become the subject of the novel, and he goes gallumphing in. This is not to say that such reflexivity need be boring, or that it’s the only operation taking place, because the The Miracle Cures of Dr. Aira works simultaneously on multiple levels: metafictional, fabulistic, metaphorical, symbolic, absurdist, realistic (even, in a work where metaphysics features so prominently, physical too). Following one absurdist thread of one realistic layer of this kind of vertically integrated choose-your-own-literary-adventure, the reader finds Aira’s protagonist, Dr. Aira, standing in a street in Buenos Aires extemporizing to a Lebanon cedar while tracing the sound of a siren heading towards him. He cuts a stock cartoon figure - the mad patient wandering the streets pursued by two doctors charged with bringing him to the hospital - but naturally Dr. Aira has an alternate, conspiratorial interpretation: they want him for the miracle cures at which, he tells us, he is so adept. So he pretends to go along only to lull them into a complacency through which this madman/miracle worker/charlatan/artist can leap to his escape. Though the reader can’t definitively extract what’s really going on from Dr. Aira’s head, or from his author’s, or even from his or her own while reading this capering, ambiguous work, following Dr. Aira’s comical surface narrative is one path the reader can take, while on a metaphorical level, the reader may even choose to find a miracle cure directed at doomed literature. As a build up to this metaphor, Dr. Aira, having attained a certain age, contemplates preserving his miracle cures, which, from the reader’s perspective, remain purely theoretical. He desires to create, for posterity, a library, a series of short books each devoted to a different cure, restricted in page length and possessing physical embellishments such as hard covers, satin dust jackets, and illustrations, something of a delicious self-parody of Aira’s own notorious writing/publishing habits (one swoons contemplating the illustrations César Aira might provide for his books). But when Dr. Aira accepts the challenge of producing an actual miracle cure for the cancer-ridden billionaire, the task (calling to mind the old Yogi Berra quip that, “In theory, there is no difference between theory and practice; in practice, there is”) proves substantially more complicated than nicely packaging his theories in pretty editions. 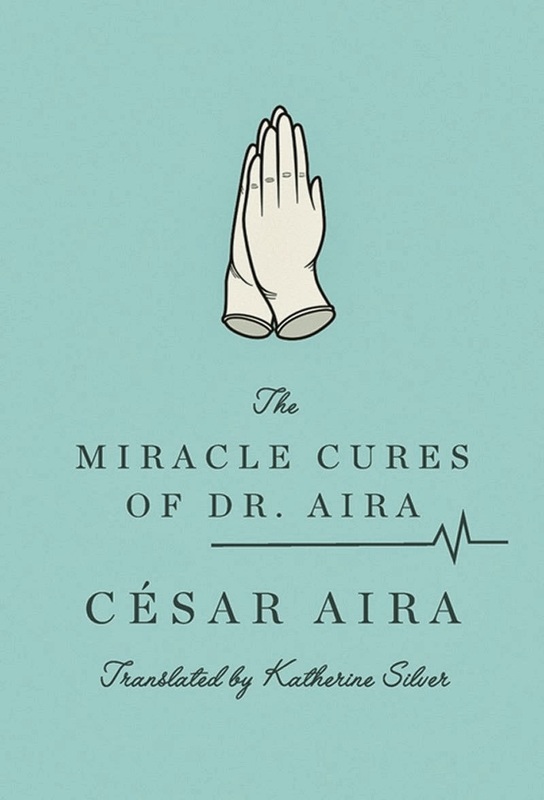 As Dr. Aira begins his treatment, The Miracle Cures of Dr. Aira becomes a comical treatise on the novel, about its supposed constitution of a complete world, and a surreal exposition on the creative process. Through antic manipulations of imagination and encyclopedic thought, Aira performs a sort of negative space excavation, blocking off with metaphysical screens everything in the world and every conceivable narrative incompatible (in non-metaphorical terms) with an outcome in which his patient is cured and (in metaphorical terms) leaving only the novel occupying the resulting hole. This Herculean mental feat is represented by an explosively accelerating amplification of the dividing screens that, unfolding in all directions, form multiplying, metaphysical pom-poms (who but César Aira, setting out to save the novel, would think to add a bit of frenzied cheerleading?)[i]. The operation is reined in only by an entropy that necessitates its own end - and what a comical, meta-metafictional end it is (one of Aira’s great strengths is an ability to produce such comic episodes while still communicating a serious substrate: for all its metafictional absurdism, The Miracle Cures of Dr. Aira subtly conveys a moving sense of the indignities of aging and the loss of faculties, particularly as regards the creative process). As in other Aira works, The Miracle Cures of Dr. Aira demonstrates the well-oiled Airaen wrestling match with the problem of creating something novel in the novel, knowing full well that the task may be in vain, that the process itself may be unpredictable, the result imperfect. Something of a trickster himself, Aira repeatedly and coyly hints at his methods without ever giving away exactly what’s in them; in other works he has come off as impishly dismissive of the facile methods of the surrealists and the rigid, linguistically-based creativity machines of Raymond Roussel. How convenient here to have an arguably mad character invoke, as part of his alchemical tool kit, blunders, intuitions, a bit of chance, improvisations that are not strictly improvisations, a pharmacopeian creative arsenal endowed “with a plasticity that resist[s] all definition.” But what a marvel to have this series of short works in which Aira spins whole new worlds to explore the wonders of the metafictional universe, creating for metafiction something akin to what Jules Verne, in his series of Voyages Extraordinaires, did for fiction (and, like Verne, publishing new installments at the rate of about two short books per year). It’s tempting - irresistible, even - to swallow Aira’s metaphors whole-hog, to assume that his tongue-in-cheek representation of the writing of his novels is exactly a series of magical manipulations intended to remedy the grotesquely metastasized, dying state of literature, perhaps even aimed at refuting Roberto Bolaño’s dire prognosis. But whatever César Aira is up to, as long as he keeps performing “the translation of one Universe into another” via his charming, dazzling miracle cures, literature has another day to live. Who cares whether or not the cures may be snake oil? [i] In this comic scene, I could not help but think of a performance I saw in China by the matriarch of a family of acrobats. Unable at her advanced age to perform physical contortions of the type practiced by her progeny, she’d replaced her earlier talents with card tricks, including, as an astonishing finale, one in which cards, not unlike Dr. Aira’s metaphysical screens, kept appearing from her coat sleeves with an accelerating rapidity until hundreds of them were shooting out in all directions and showering the audience. César Aira seems to have some familiarity with China; at least, he’s written an as yet untranslated work entitled, A Chinese Novel. Maybe he saw the same show?